Become the you you want to be. 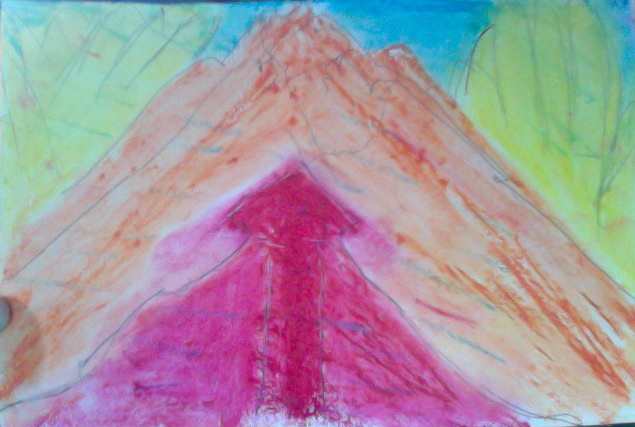 Oil Pastels on Paper, a meditation on intention working. To register for a class please contact me at poonamis@gmail.com or 9172847926. REIKI ONE CLASS: March 2, 2019, 6 hours. Learn to self heal and to heal others directly. $130. Please pre-register @ poonamis@gmail.com by February 28. Class limited to 9 people. You will be supplied with a manual, materials, and hands on practice. Receive Attunement Ceremony of Reiki Symbols. Certificate upon completion. REIKI ONE CLASS: March 3, 2019, 6 hours. Learn to self heal and to heal others directly. $130. Please pre-register @ poonamis@gmail.com by February 28. Class limited to 9 people. You will be supplied with a manual, materials, and hands on practice. Receive Attunement Ceremony of Reiki Symbols. Certificate upon completion. REIKI ONE CLASS: April 6, 2019, 6 hours. Learn to self heal and to heal others directly. $130. Please pre-register @ poonamis@gmail.com by April 3. Class limited to 9 people. You will be supplied with a manual, materials, and hands on practice. Receive Attunement Ceremony of Reiki Symbols. Certificate upon completion. REIKI ONE CLASS: April 7, 2019, 6 hours. Learn to self heal and to heal others directly. $130. Please pre-register @ poonamis@gmail.com by April 3. Class limited to 9 people. You will be supplied with a manual, materials, and hands on practice. Receive Attunement Ceremony of Reiki Symbols. Certificate upon completion. ALL CLASSES WILL TAKE PLACE IN NEWARK NJ. REIKI TWO CLASS: March 16, 2019, 6 hours. Learn to self heal across time and space dimensions. Heal your past; heal across distance; learn foundational symbols. $160. Please pre-register @ poonamis@gmail.com by March 14. Class limited to 9 people. You will be supplied with a manual, materials, and hands on practice. Receive Attunement Ceremony of Reiki Symbols. Certificate upon completion. REIKI TWO CLASS: April 27, 2019, 6 hours. Learn to self heal across time and space dimensions. Heal your past; heal across distance; learn foundational symbols. $160. Please pre-register @ poonamis@gmail.com by March 14. Class limited to 9 people. You will be supplied with a manual, materials, and hands on practice. Receive Attunement Ceremony of Reiki Symbols. Certificate upon completion. REIKI TWO CLASS: April 28, 2019, 6 hours. Learn to self heal across time and space dimensions. Heal your past; heal across distance; learn foundational symbols. $160. Please pre-register @ poonamis@gmail.com by March 14. Class limited to 9 people. You will be supplied with a manual, materials, and hands on practice. Receive Attunement Ceremony of Reiki Symbols. Certificate upon completion. SEPTEMBER 6 7 AND 8 REIKI MASTERS CLASS. Note from the site manager.